Evolution Light is all about 100% wearing comfort and complete freedom of movement. 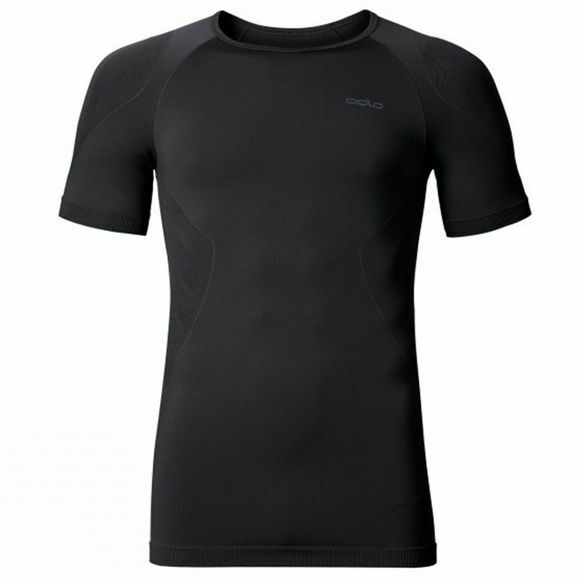 The lightweight, short-sleeve T-shirt features a body-hugging fit, seamless knit technology and integrated functional zones. With its perfect moisture management, high breathability and enhanced ventilation, it is ideal for anyone who is determined to smash their personal best. The functional fibre ‘Effect by Odlo’ uses antibacterial silver to banish the smell of sweat.